Due to be redesigned next year, the 2019 A3 is at the end of its run, but often that means better value for buyers. Despite its age, this is still one of the most attractive cars in its class, with angular looks, LED lights, and tight proportions keeping things current. Inside, the dashboard design is minimalist and therefore has aged well, though passenger space is on the small side thanks to puny proportions. 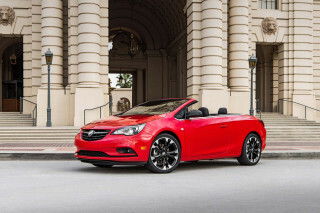 The A3 is also the only car in its class available as a convertible with the Cabriolet model, though the Buick Cascada is still hanging around. For 2019, the A3 gets full LED headlights, taillights, and dynamic rear turn signals as well as wireless phone charging on the Premium Plus and Prestige trims, as well as active parking assist on the Prestige trim. Additionally, the A3 e-tron Sportback plug-in hybrid is no longer available, but with Audi’s push for electric vehicles, we should see a future electrified A3, in its next generation. 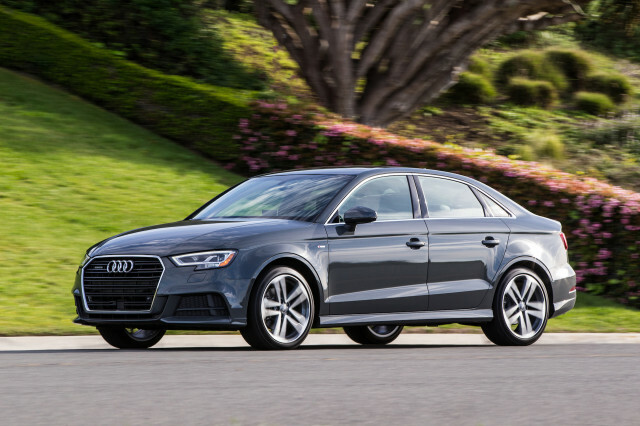 The 2019 A3 comes standard with front-wheel-drive and a 2.0-liter turbocharged four-cylinder and 7-speed dual-clutch automatic transmission making 186 horsepower and 221 pound-feet of torque. 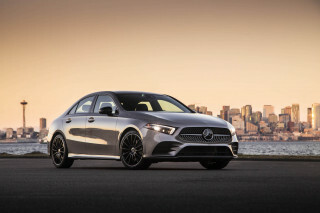 If you opt for all-wheel drive, power gets upgraded to 220 hp and 258 lb-ft, while the transmission drops one cog to become a 6-speed dual-clutch. Packed with available technology like the 12.3-inch virtual cockpit display and available 4G in-car Wi-Fi, the A3 can be very well-equipped if you’re willing to pay, though base cars include impressive standard features and high material quality. 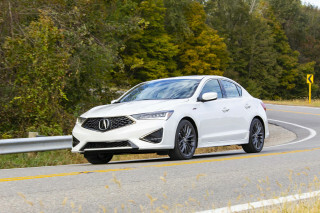 Active safety features like automatic emergency braking and forward-collision warnings are standard too, and other features come available on higher trim levels. The 2019 A3 is also an IIHS Top Safety Pick award winner and boasts impressive crash test scores all around. The 2019 Audi A3 is hard to tell apart from the rest of the Audi lineup, but that’s a good thing for first-time luxury buyers. With angular LED lights front and rear, clean-cut body lines, and a big, trapezoidal grille, the A3 wears its styling as well as any other Audi, sometimes better in our eyes. The big front intakes and available 18-inch wheels make the A3 look sportier than it is and can be had as standard on Premium Plus and Prestige trim or for $800 on the Premium trim. Inside, the cabin is similar in style to the TT coupe rather than the A4 sedan and keeps things minimal for maximum longevity in the design. The dashboard is a sea of soft-touch plastic, and leather upholstery is mostly limited to the seats, with little in the way of contrasting trim throughout the interior. A pop-up infotainment screen is a refreshing touch in the days of fixed, tablet-like units, and can be stowed while driving if you prefer using the optional Virtual Cockpit, a TFT screen that takes the place of the gauge cluster and displays wide-screen navigation or speed or dials, all by the driver’s choice. The 2019 Audi A3 is as engaging as entry luxury sedans get, especially with all-wheel-drive equipped. Front-wheel drive is standard on the A3, and comes with a 186-horsepower and 221-pound-feet version of the aforementioned engine, as well as a 7-speed dual-clutch automatic transmission. 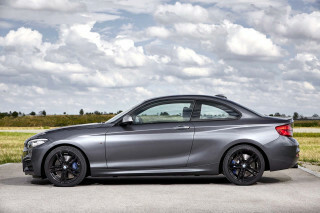 Adding all-wheel drive (now known as the 45 TFSI model vs. the 40 TFSI of the FWD A3) bumps power to 220 hp and 258 lb-ft, and cuts the sprint to 60 mph to just 5.8 seconds. 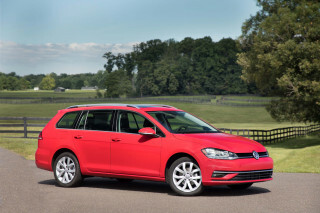 This powertrain comes with a 6-speed dual-clutch automatic transmission versus the front-wheel-drive model’s 7 cogs. While no rear-drive BMW, the A3 is a competent handler, with a direct steering rack and suspension that is tight in the corners and agreeable on straight stretches of road. Though small, this car weighs nearly 3,400 pounds, and that weight starts to show in more spirited outings. The 2019 Audi A3 has luxury-badge-worthy materials, though suffers from a small cabin. While some entry-luxury offerings keep it cheap with low-rent materials (we’re looking at you, CLA-Class), the Audi A3 manages impressive quality despite its low price of entry. Soft-touch plastics abound, and everything feels buttoned-down and solid, including the impressive metal switchgear. The optional Virtual Cockpit dials up the tech too, and impresses with its functionality. Where the A3 lacks, however, is in the space department. While the front seats are plenty comfortable, rear seat space is very tight, and the trunk isn’t suitable for more than a few small suitcases. Road noise creeps in as well, especially on larger wheels like the optional 19-inch alloys, so stick with 18s or below for best results. The 2019 Audi A3 is an IIHS Top Safety Pick and includes standard automatic braking. The 2019 A3 is an IIHS Top Safety Pick award winner yet again, managing “Good” scores all around and only “Acceptable” for the headlights and child seat anchors. The federal government has also given it five stars overall. Additionally, the 2019 A3 comes with automatic emergency braking as standard, though the rest of the active safety features are limited to the top two trims. That includes adaptive cruise control, blind-spot monitors, active lane control, and full LED headlights with automatic high beams. Each of those items is optional on the Premium Plus but standard, making the Prestige trim a tempting upgrade. Blind-spot monitors are available in the $3,000 Technology Package on the Premium Plus trim. Interestingly, rear side-impact airbags are still an extra-cost option on the A3. Why Audi wouldn’t include them as standard is beyond us. The 2019 Audi A3 comes well-equipped as standard, and each trim includes a healthy equipment upgrade for the additional cost. Out of the box, the A3 Premium comes standard with dual-zone climate control, xenon headlights, a panoramic sunroof, leather upholstery, 12-way power front seats, Bluetooth, and automatic emergency braking. Heated front seats are an option; Apple CarPlay and Android Auto compatibility and keyless ignition are included in a $900 package. Stepping up to the Premium Plus trim adds every option mentioned previously as well as S-Line styling features, 18-inch wheels, front and rear parking sensors, and split-folding rear seats. The $3,000 Technology Package adds Audi Connect functionality as well as the Virtual Cockpit display and is a must-have for tech fans. The top-tier Prestige trim includes almost every option in the book, like Virtual Cockpit and adaptive cruise control along with an impressive 14-speaker Bang & Olufsen stereo. The Cabriolet model mirrors the sedan’s trim levels and options but carries a $6,400 premium over the four-door. A small engine and front-wheel drive can make the 2019 Audi A3 reasonably efficient, but the plug-in hybrid model is missed. While official numbers for 2019 have not been released, we don’t expect them to change from the 2018 model. As such, the front-wheel-drive A3 is the most efficient, managing 26 mpg city, 35 highway, 29 combined. Front-drive Cabriolet models carry a slight penalty at 25/33/28 mpg, while the all-wheel-drive sedan and Cabriolet models dip even further to 24/31/27 mpg and 22/30/25 mpg, respectively. Unlike many turbocharged cars, all versions of the A3 can run on regular gasoline, which should help ease costs at the pump.